Bavaria 50 Cruiser is a large cruising yacht providing spacious and comfortable accommodation for a group up to 10 adults within 5 cabins. 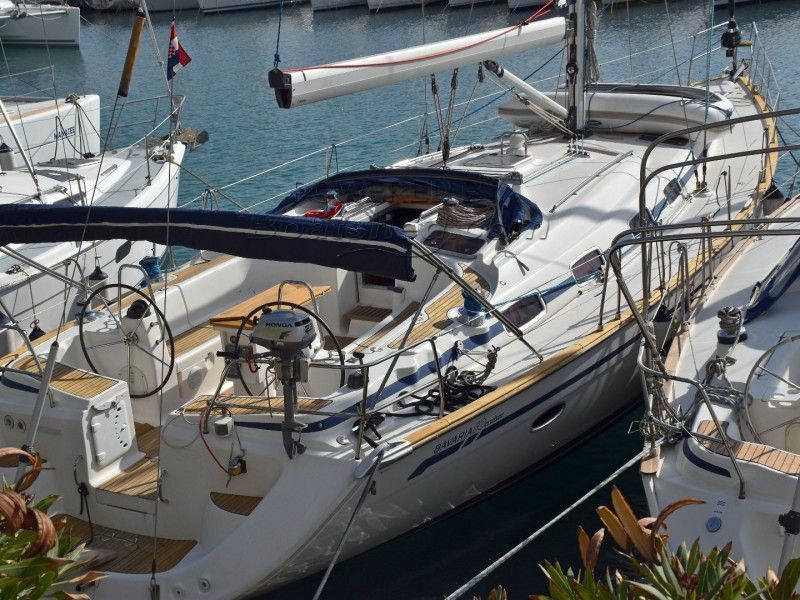 It has wide and expansive decks and a broad foredeck and a lounging area forward of the mast. The interior in solid light mahogany combined with the two skylight windows in the roof, gives a very airy and spacious feel to the interior. Mainsail was replaced in 2016, genoa was replaced in 2015. It also has a Webasto heating system with outlets in saloon so it can be be comfortably sailed throughout the year.